Sovereign wealth funds are set to increase their investment in global real estate, at a time when Dubai is facing a massive oversupply problem. Nick Maclean, managing director of real estate consultancy CB Richard Ellis, looks at what the emirate must do to meet these challenges. Maclean says Dubai should look to the global stage in order to fill the property swell, as SWFs are set to increase their investment into properly this year. Property is clearly a political instrument; it’s a statement of intent, of ambition… a tool of propaganda,” Nick Maclean, the Middle East head of global real estate consultants CB Richard Ellis (CBRE) says from the stage. Given that he’s talking from a stylish ballroom in the first ever Armani Hotel, within the Burj Khalifa — the tallest and one of the most talked about buildings in the world — it’s hard to argue. Maclean admits he often finds it difficult to decipher what some conference speakers really think about the subject they are debating. On the issue of Dubai property, he leaves the audience with no such confusion. “I am an admirer of what has happened in the UAE over the last ten to 20 years… but I am not blind to what we need to do over the next five or six years,” he says. So what does the emirate need to do to get its house in order? Last week, Jones Lang LaSalle, one of CBRE’s biggest rivals, forecast that office vacancy rates in the emirate are expected to exceed 50 percent by the end of the year, as new supply continues to flood into the market. CBRE puts the present vacancy rate in Dubai at about 30 to 35 percent and Maclean says the market will have to absorb another 20 to 30 million sq ft of office space in the next two years. However, he believes the emirate should look to the global stage in order to fill the property swell, as he says many sovereign wealth funds are planning to increase their investment into properly from four to six percent this year. “That is a 50 percent increase in the amount of capital into real estate. That is a massive amount of property. We have an objective to try and get more of that capital to come into the region, as it is bypassing us at the moment,” he says. It is Maclean’s job to attract as big a slice of that global property pie as possible, and it is a task that he is bullish about achieving. “CBRE acts for about half of the Fortune 500 companies around the world and, of our clients, 92 percent have their [Middle East headquarters] in Dubai. That is an extraordinary statistic,” he adds. Maclean says Dubai’s main rival is likely to be only 180km down the road in Abu Dhabi. However, he believes Dubai has “about a three or four-year advantage” over the UAE capital and it therefore needs to absorb its oversupply within this timeframe or it risks being overtaken by its richer rival. He believes there are a couple of things that Dubai needs to address in order to hold onto its title as the Middle East’s premier business hub. Of the new commercial supply due to come onto the market, 90 percent will be strata title, and Maclean believes that is seen as a hindrance by foreign corporations scouting for office space. Strata title means individual owners decide on the management of their own property, as opposed to the old centralised management structure which was previously the norm in the emirates before recent regulations were introduced. In some previous cases, CBRE has tried to persuade owners in a strata title building to act together in order to facilitate a foreign corporation looking to easily occupy a large amount of office space, but Maclean says most individual landlords are simply not prepared to work together. “In some instances we tried to corral a group of owners to get to work together but they simply won’t. The closest we got was 40 percent, so in the best possible project 60 percent of people were not really interested to talk with their neighbour owners to act collectively together. “That’s why I think the government has to intervene to do it, to knock heads together to use its powers to bring those people together to package buildings in a way that they will sell,” he adds. 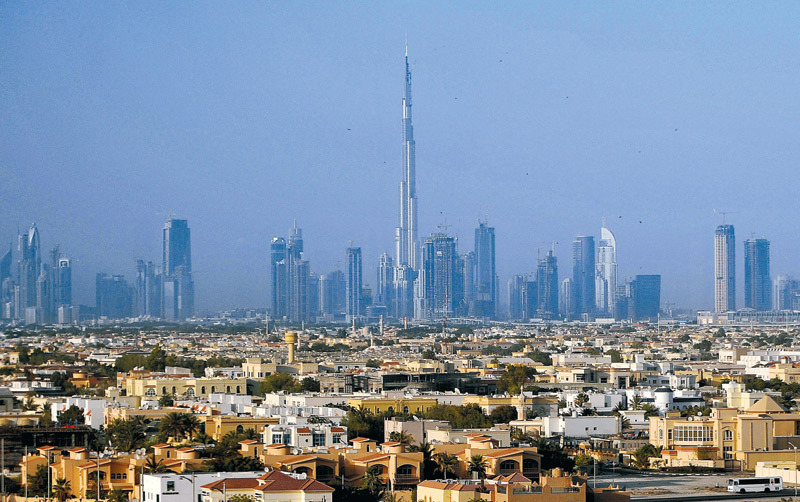 Another barrier to entry for investors, says Maclean, are the current visa regulations in Dubai, which do not allow foreign freehold property owners to have unlimited access to their own properties. Allowing secondary homeowners to spend a month or two in the emirate is an important element but it “is not going to be a key driver for the residential market. We need to make it as easy as possible for people to come here and buy and put down roots. “This is of course a very politically sensitive view, but we stop people perhaps enjoying their accommodation through visa regulations even if they are freeholds. “We need to take down all those barriers and allow the country to be lived in by as many people as possible so we automatically create an investor class here within the country,” he says controversially. The economics would appear to be simple: Dubai is set to see an increase in supply over the next few years and global funds are set to increase their investment into real estate in the coming years. However, Maclean believes the hindrances put in place by Strata Title and visa regulations may complicate the outcome for Dubai. Otherwise we “must face the prospect of some buildings here that will never sell and will never let. I think it is going to be a small minority though,” he says ominously.